Max Antony-Newman is a recent PhD graduate in the Curriculum Studies and Teacher Development programme at the Ontario Institute for Studies in Education (OISE) of the University of Toronto focusing on parental involvement, immigrant students, and linguistic minorities. His doctoral research is on the parental involvement of Eastern European immigrant parents in Canadian elementary schools through the Bourdieusian lens. This project aims to explore how social and cultural capital of immigrant parents affects patterns of their involvement in the host country, and how the involvement of immigrant parents matches the expectations of their teachers and narratives expressed in policy documents. 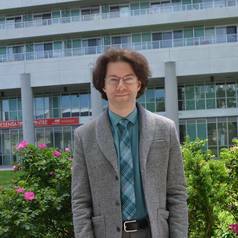 Prior to his doctoral studies, Max taught ESL to diverse students in Canada and Europe for more than a decade before completing his MA in Languages and Literacy Education at OISE/UT in 2014.